Opal nodded to Berry as she kept an eye on the two newcomers. She has never seen ponies like these before. Certainly they must have many tales from beyond Equestria, of which Opal was looking forward to hearing. Pinkie Pie pronked proudly about, passing ponies perkily with permanent pleasure. She was always so happy to meet new ponies from around Equestria and when they were coming to Ponyville to make it their home she was double super excited! Just earlier that day she had run into just that sort of pony. A Crystal pony by the name of Opal Frost, coming here to live amongst the delightful denizens of this small town. Talk about a good decision! She'd recommend Ponyville to anypony who was anypony and you never knew what anypony could be somepony, so she just made sure to make everypony feel like THE pony! It never failed. Well, maybe it did. She didn't know. She didn't feel like it failed and that was enough for a pony who motored about with feelings as the primary driver on just about everything she thought, felt, or mused about! But speaking of Opal Frost, there was something that she was nescient about and it was eating her up inside. She was gonna throw a party for the newest addition to Ponyville but didn't know her likes and dislikes. Pie? Cake? Chocolate? Strawberry? Ice cream? Doughnuts? None of that, maybe some wheatcakes? Who was she to judge- as long as ponies had fun what else mattered? More information was needed, so she pronked her way to the store that the new arrival ran, but plot twist: Not there. Not that far away though, she saw Berry Punch walking and talking with her. Pinkie Pie followed and it was not very long until they came to her juice bar. Oooh, talk about a fun place. She could do with some great juice right about now, and she knew for sure that Berry Punch was the mare to give it. As she drew closer, two new figures entered into the fray. One was a Neighponese pony, she could tell. Something about the way they smiled was just a little more impactful than an Equestrian's smile- not nicer or meaner, just seemed to have a bit more verve to it. The second was a stallion with scars and markings, obviously somepony from a distance away. She could almost taste the dusty roads and hard work on him, reminding her of the rock farm. Beakbreak City﻿, maybe? She could be wrong. Not that it mattered where the stallion or the mare were from. They were visitors or more to this town and were going to be taking up a solid bucket of her interest soon. Toboe's ears perked up at the whistle and strangely familiar disposition of the stallion approaching. Getting used to the lack of status she had in this country was a trial, but not an unwelcome one. She'd complained to her friend Nensho for years about the 'Yes-Mares' back home so when she was finally free of them in a foreign land... she'd be some sort of hypocrite to whine about their absence now. "Can't say I do. I've heard good things though." The pony sniffed at the air a few times, "Whatever she has in stock smells very top of the line. Are you looking to just get a taste of her product as well?" Before the curious looking earth pony could answer quickly, the door was opened. Toboe dipped her head towards berry, "Thank you very much... and, well I was here for nightmare night. " She chuckled only slightly awkwardly, that night had given her quite a scare after the princess disappeared. Thank goodness it all turned out to be an elaborate joke involving some old wolf. "I was in ... a very useful Okami costume most of the night. That stallion... Masquerade I think his name was: sold it to me. was a bit of a pain to get out of." She chuckled warmly, "Were you there for it? Was quite the event..."
And soon came along a pink earth pony. She smelled incredibly sweet, sort of like candy. If Toboe had to guess she must work with confections of somekind or regularly spends time there. If she was connected to some place that could give her some pointers on preparing dishes for the bar... maybe this aspiring Bar owner could introduce herself as well. Opal listened to the story. She's never heard of a "Okami" before, she'll have to ask when its her turn to speak. Also in the Crystal Empire she's never heard of "nightmare night," perhaps it was similar to their harvest festival. All of a sudden she saw Ms. Pie happily come in the door, and the next thing Opal knew the pink pony was sitting next to her. She ordered a very large order of juice. Was she going to drink it all? That's a lot of sugar. Also Opal thought it was just a grape juice and wine shop, hahahahhaha. Even though Pinkie was a bit overly hyper for Opal's taste in company, she was quite humorous to observe. 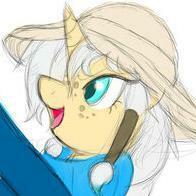 Opal shyly smiled with a very light chuckle, "Oh hello Ms. Pie. Ummmmm I really enjoy Vanilla cake with a layer of raspberry filling and then chocolate icing on the outside. Hahaha. Also fireworks? Sparklers? Isn't that a bit too much for a welcome party?" Opal kept respect in her voice, she was extremely grateful for the party Ms. Pie offered to throw. She can only guess they go all out for parties in Ponyville? Parties were not held often in the Empire while Opal grew up, just small gatherings up until it was saved by Princess Twilight and her friends. Thinking of those depressing times made Opal frown slightly. Smiling at having her recollection confirmed, the burgundy mare nodded eagerly at Toboe's question. "Yep! I always help little Pinchy with her costume; she was the Bride of Ponystein that year! I don't usually have time for my own, though; I'll definitely have to check out that shop if it's here again next year!" She was about to ask her for a drink order, when all of a sudden, the shop was invaded by a pink progenitor of prodigious partying! "The usual, eh Pinkie?" She laughed, turning around to grab the bottles behind the counter. "Coming up! Ten cups of the good stuff. You want them all separate, or do you want to try them all in a punch?" Berry looked back with a gleam in her eye. She rarely suggested this sort of thing, even though her full name suggested a particular application of this talent. Her parents had raised her to appreciate ingredients in themselves before bringing them together, drawing a parallel to inter-pony relationships. Each needed to know and respect themselves before they could do justice to another, a lesson which Berry took more to in drink than in ponies. After all, every time you met another pony, you couldn't help but mix, right? She laughed again at Opal's formalized hesitation. "Well, it might be, if it hadn't been so long since the last one. Pinkie builds up so much party in her, that if she doesn't let it out regularly, they become real blow-outs!" The stallion nodded a bit as the mare spoke, though it seemed the conversation was already over as the proprietor greeted them. Tiger grinned at Berry’s words to him, though moreso the beginning than anything else, giving her a wink in response. “Sounds good, beautiful. Think I’ll take something strong, otherwise, surprise me.” He said, grinning as he sauntered over and took a seat at the bar, leaning back against it and looking over his shoulder at her. After a brief moment of checking her out, he turned his gaze away, settling on the very pink pony that just entered. Well, this one was certainly energetic, and apparently very thirsty. Who could blame her, hopping around like that would build up a sweat. In any case, this was going well for him, sitting in what was probably the closest thing to a bar this town had while surrounded by good-looking mares. There were a few ways this could get better, but he didn’t see them happening here. Pinkie Pie snorted joyfully at the suggestion that fireworks were a bit much for a welcome party. Maybe to somepony it was but to Pinkie there was never too much for a party, just whatever felt right was right. Some parties might look understated next to others but she'd bet a brilliant pink bit that each and every pony who was given such a party would look back on it with fond memories. Twilight may not have enjoyed hers at the time but that warmth that she experienced allowed her to open up to all the joys that Ponyville had to offer. And boom, then she became a Princess. Pinkie Pie wasn't guaranteeing that she would make you a Princess by throwing a great party, but it did happen. The odds were better than winning the lottery. The numbers didn't lie! “Oh, you'll see. It'll be great! 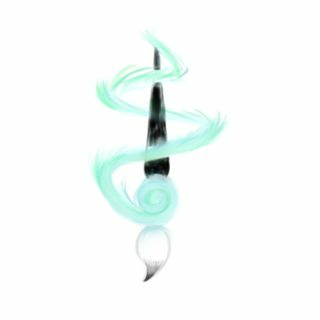 I have a lot of leftover fireworks and sparkle thingies from the New Moon Festival and I'll tell you that it isn't easy to get rid of! So, vanilla, raspberry icing layer, chocolate icing on the outside. That sounds really, really good. I might have to make a few cakes like that later, I can almost taste it on my tongue!” She said, nomnomnoming the air playfully. What she never ever took playfully however was the suggestion that she wouldn't immediately mix all those drinks. It didn't cross her mind very often but putting a bunch of odd and unusual things in your mouth was a very good way to understand if it could come together to create a cool party snack. She had even very literally tasted the rainbow. She did not recommend tasting the rainbow, if anypony asked. Which nopony did because the thought likely didn't occur to them. All that told Pinkie was that she was a trailblazer in the whole 'adventurous tastes' industry. “Well, of course, mix it all up. You're taking me to Flavortown, or is it Berrytown? Punchville?” She trailed off mentally for a few moments, then shrugged. “I guess it doesn't matter as much...how many bits will it be, oh Punchy one?” She asked while getting out the bits. All this talk of sweets was starting to make Toboe hungry. She'd heard stories of the sugar filled diets of Equestrians, but talk of cake this early in the day. It's a wonder they're not more heavyset. The mention of parties made her even more curious, was the pink one some sort of caterer? That kind of experience could really come in handy. Toboe had to think back on wheter she'd seen anypony just up in such an outfit, "Pinchy... I'm guessing from the name she's you're daughter? I hope she wasn't one of the ponies that were snatched up for that weird prank. Can only imagine the stress that'd dump on a mother. " When their pink visitor made her big order, Toboe's jaw dropped for a moment. Ten cups? This mare would be a shoe in for the company drinking contest. Speaking of drinks... with all these guests making requests, this business-mare might be able to get a sample of the merchandise. If she was aiming to get this pony's help as a wine supplier, it might be a smart choice to sample what she might end up selling back home. "Miss Punch." Said the neon maned tourist, "I know it's a bit early in the day, but could I sample some of your wine? I've heard very good things about it." Pinkie's apology earned a wry chuckle from her, "No need to worry, as much as I like being... welcomed, I'm fine not drawing too much attention to myself on a visit." The mare bowed her head in greeting, "Toboe Hiretsuna. I'm... well from a well off family in Neighpon, but I'm looking to start up my own business: A bar or a franchise of them." “Don’t you worry, seems to me like you’re a pretty good welcome all on your own.” Tiger said, giving Pinkie a wink before continuing. “Name’s Tiger Blood, just on a bit of vacation, I guess. Passing through, really, seemed like a good place to stop.” He shrugged a bit at the end there, falling silent momentarily. “Oi, sweetcheeks, any place around here I can get some training in? Gym, fight club, anything?” He asked, still talking to Pinkie, his gaze on her in a sidelong glance sort of way as he relaxed against the bar. With a grin, Berry Punch took up Pinkie's order. "Right you are! One SOGS punch, coming up!" She almost always named her punches after the initials of the fruits involved, though they didn't always make sense, or sound appetizing. Perhaps a sharper marketing mind might have taken her business farther, but then, that might have taken her too far away from this lovely town, and she couldn't have that! All ten of the requested cups of juice were poured into a mixing bowl, stirred in with a few cubes of ice, and then the whole thing was put in front of Pinkie, who in all likelihood would drink straight from the bowl. Berry didn't mind so much; the sweetness-loving pink pony rarely let so much as a drop spill. "There we go. And yes, Miss Toboe, I am her mother. I was with her for most of the night, so I saw to it that she wasn't taken by any ghost or ghoulie!" She giggled, the afterknowledge that all had been a harmless prank let her view the whole incident with amusement. "Anyway, I heard orders for two glasses of wine. Coming up! I think you'll like this one..." Reaching under the counter, she got out a glass decanter holding a dark purple liquid, pulling over the two exquisite crystal glasses that Opal had brought over. "This one is called Mountain Midnight, made from Cabernet Sauvignon, Merlot, and a bit of Cabernet Franc grapes. Very strong and flavorful, but you have to decant it from the bottle first and let it get a little air; if you just drink it straight off, it's a little rough and bitter. Should be nice and smooth now..."
With all the care of a practiced bartender, she filled the two goblets, the room filling with the scent of dark fruits, before pushing them over to Toboe and Tiger. Upon sipping the drink, each would find it to be like smooth velvet sliding over their tongue, bringing an intense, precisely balanced taste of fruit and spice with it. "Haha, alright Ms. Pie." Opal says. Thinking to herself, she heeds Berry's advice, 'This will be good for this one very excited pony and the whole town if its been a while since they've had a nice party.' "Other than this... please surprise me. I do like surprises, other than the day and time and place I would like to know a head of time. However, thank you for taking my preferences into consideration." Going back to her normal listening self, Opal finds amusement in the following conversation. At the mention of a "fight club" she tilts her head, unsure of what to think of it. Why would ponies join a club about fighting? This is Ponyville, wasn't this supposed to be a friendship filled peaceful community other than the random mishap? When Berry went to get one of the goblets from under the counter, Opal couldn't hold back a small smile. She hoped that Berry would find them. Opal poofed them in when Berry wasn't looking as a thank you present, for being kind and ordering such a large number of glasses earlier. "Um, Berry?" Opal starts when she believes it is okay to speak. " 'SOGS' ?" It was good that Opal liked surprises because Pinkie loved surprises and was planning on surprising Opal, so it was good that she was hopefully gonna like it because oh boy did some ponies NOT like getting surprised! "Noted and NOTED! Your party is going to be s much fun! It is always so nice to have new friends move into town. You're gonna love it! Parties can be a great place to not only meet and greet and mingle and jingle but to smooze and make all sorts of connections. What do you do for a living, Opal? Are you in some sort of gem business?" Pinkie asked, excited to know what she could about Opal. Even if it didn't seem like she was looking for important pieces of the party puzzle, she was always hunting down every little tidbit she could find. Not only was this useful now but it would help build the tapestry that was Opal Frost, a mystery that Pinkie would like to solve! Speaking of mysteries. Drinks! Berry Punch had a knack for creating the best punch in town. Bits on the table. She was the best when it came to creating the best flavors around. Pinkie downed the drink in one giant gulp, lifting the cup on high with her mouth. She tossed the cup and caught it with a hoof. "Wowie! Berry, you're getting better and better and better and better every day!" She said with a giggle. "That reminds me, I've gotta get several barrels of punch. You wouldn't believe it but my punch stockpile is getting looooooooow-" she motioned to the floor, coiling like a cat, "-and I need them HIGH!" She ended with a great leap from her position straight up several pony lengths into the sky. She landed with a softer than expected clop on her four hooves and a laugh. "Your punch may not give me wings but it certainly makes me feel that way!" Not that making Pinkie feel lighter than air was very hard. Her body was eighty percent sugar by concentration normally anyway. Her normal hyperactive behavior was only being curtailed by her relentless seeking of friend-related knowledge about the newcomers. Tiger Blood, what a name THAT was, seemed to like it rough and tumble. She liked it soft and marshmallowy, so different strokes for different folks. The mare from Neighpon known as Toboe was looking to start a business and had the...neighpon bits...to do it, it sounds like. "Nice to meet both of you!" 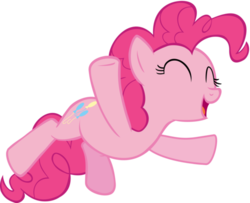 Pinkie said as she pronked in place due to the sugar rush. "Ooh, I have an idea! Maybe Toboe can build a bar that is also a gym that acts like a fight club for Tiger Blood to join!" She giggled, "beyond that, I think you'll find some gyms but not enough fight clubs! I wouldn't know much about those. You aren't so supposed to talk about them, duh!" She continued her pronking, this time moving in a circle around everypony. "Another bar would be nice. The Watering Hole is always a little hard to get to and its always so overcrowded. Whatcha gonna have at your bar thats special and makes it all Toboey, Toboe? I like saying your name! Toboe, Toboe, Toboe!" "For a living?" Opal asked confused for Pinkie had visited her shop before. "I have my shop. I love to make all sorts of things out of crystal and glass. My mother and father are in the gem business, however. Berry is using one of my pieces of art as we speak." Opal motions to the goblet that berry is using for one of her customers. "Haha, as you can see its very detailed work. Its quite fun. I can show you how I make the glasses that Berry has ordered, if you'd like, Ms. Pie." Well that was a relief, deep down Toboe knew everything on that night mostly worked out. Separating a parent and a filly would have probably made her want to to find that oaf of a wolf responsible and give him a stern talking to. Thoughts of Trying to discipline a yokai who could be anything from one hundred to a thousand years her senior in life would have to wait: Drinks had arrived! Before the drink even reached her lips she noticed the glass. These were exquisitely crafted, "Um... before I partake can I ask who supplied you with these glasses?" The tourist picked up the glass carefully with her hoof and took a sip. It tasted very good... Toboe may not have described it the same way as the one who brewed it did, but getting into disagreements about how things tasted to her versus others often proved to just be exhausting in the past. Semantics aside, she approved and gave Berry a smile. With the glass so close to her muzzle, she took notice of the scent on the glass and her eye slowly glanced to Opal curiously, not wanting to bother the mare unless Berry confirmed her suspicions. Pinkie Pie's pleasantly peppy words soon filled the air again, "It's good to meet you as well... or 'Hajimemashite' as they say back home." Perhaps out of habit, Toboe gave the pink party pony a bow. "... and while I like like the idea of having something physical to do at any establishment I find. I prefer keeping such activities to Dojos and the like." She looked over to Tiger and smiled, "I'd be lying if I said I didn't enjoy the idea of the occasional sparring match. My father put me through some self defense classes with my other siblings back home and I've tried to keep myself in shape. For now though, maybe any competitions between us could be in the form of a drinking contest?" "... Hmm. What would make it special? I'd been hoping access to high quality products from across the globe would be a good draw. Although maybe I should look into some other attractive aspects. " She rubbed at her chin in thought before smiling over to Pinkie, "Thanks, it means 'howling' in Neighponese. I was a noisy filly and liked to si-- oh! maybe a chain of karaoke bars. Would make the name I'm giving them work even better: The Howler's Den." Berry smiled at Opal as she asked about the acronym. "Yeah, Strawberry-Orange-Grape-Sugarcane Punch, SOGS! Not the most appetizing of acronyms, I suppose, but GOSS wasn't much better, and OSGS is very hard to get right!" The burgundy mare laughed, turning around to give her tail a shake for her guests while she put away her bottles. Bit of a flirty move, but she was in a good mood, and liked the looks of all her guests. "And I'll be sure to have those barrels ready, Pinks! Hm, 'gives you wings'... that sounds like a pretty good motto, actually, though not sure how it would play with pegasi. They'd probably just make fun of it, until they tasted the punch, of course!" Huh, yeah, that was actually a really good idea for an ad. Berry made a mental note to talk it over with her later. Now that Dashie was a bonafide Wonderbolt, there would probably have to be negotiations and arrangements made to use her likeness. Speaking of which, it seemed that Toboe was open for opportunities, and Berry was a savvy enough businessmare not to let those slip. "Funny you should mention that, but these Glasses come from Opal right here!" She pointed at the Crystal mare with a grin. "Genuine crystal, from an Empire craftsmare! You don't get any better than that, I can tell you. She does custom designs on them, too. I'll bet she could work out something nice for you; maybe a howling wolf, with the howls coming out as a music staff with notes? Be more than happy to supply what'll fill those glasses myself." “But if you don’t talk about them, how would they get any fresh meat in there? Gotta spice things up with new challengers sometimes.” Tiger responded to Pinkie before taking the glass and drinking from it. It was pretty clear he didn’t put much stock in the protocol of drinking wine, as he simply gulped down part of the liquid and set the rest back down for now. “Mmm, I guess that means I’ll be seeking you out later. Always enjoy a friendly match.” He said, giving Toboe a wink before Berry’s little show caught his eye. He smiled and gave a small whistle of appreciation before turning back to Toboe. “Drinking contest? You may own a bar, but I doubt there’d be much of a contest there.” He added, giving a small laugh to punctuate the banter. Pinkie Pie blew raspberries. "I was just so excited earlier when I entered your shop. First I was like," she took in a deep, immediate breath of shock! "-oh my gosh a new shop! And then I was like," she drew in an even bigger shocked breath, her head getting big enough to start her floating gently off the ground, "-oh my gosh, a new friend!" She deflated herself and fell back down to earth. "I was having such a friendache- that's when the shock and joy of meeting a new pony friend causes your head to hurt- that I just forgot some things. Not that I'd ever forget how pretty these glasses were! Wowza! I can see my reflection in them and everything, That must take some work and a lot of skill! How much does this set a pony back? A hundred bits? Twwwwwwwwooooo hundred bits?" She asked, eyeing one of the glasses. And by eyeing she meant holding it so close to her that her eye almost got stuck. She pulled her way out before a problem arose, a ring around her eye reminding her of pirates. And eyepatches! They'd wear those to the new drinkery in town, no doubt. The Howler's Bar sounded so cool! "Wow, that name is pretty awesome, I bet all sorts of ne'er-do-wells would hang out there. Pirates, criminals, lackeys, private eyes, femme fatals- the works! You can even have a back room where super high stakes games of go-fish are conducted. What do you think they bet at such games? I like to imagine they bet gold bits. Thats right, bits, but they're gold- goldier than the gold our bits are made of! I should get you in touch with Applejack to get some really hard cider. She makes several ciders, but special blends with high glug-glug content for places like yours. She is the best drink mare in town...present company excluded, of course," she said with a snort and a giggle. Couldn't forget about Berry now, could you? Berry Punch was on top of her game, as opposed to being underneath her game, which was a bad place to be in any case. Her punch was always the kick she needed at a foal's party, a welcoming party. a wedding party, really it benefited most parties. "Good good good good. You got the good stuff, Berry. Can't wait to see what you cook up next! Pony's premiere punch pony presents perfection...when it comes to drinks, anyway," she giggled. Berry Punch lived up to her name. Her Berry punched you hard and her punch had a strong berry taste. "Maybe we should have Rainbow Dash sponsor the drinks. 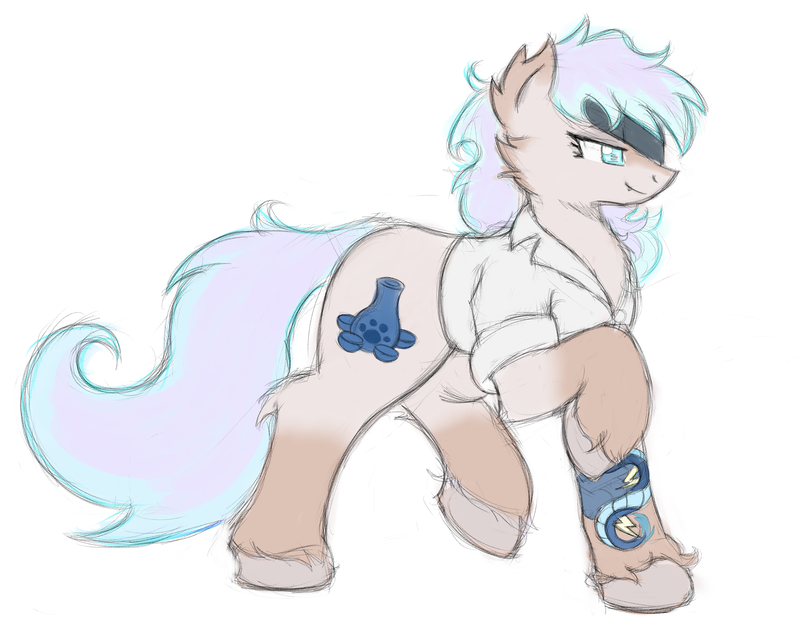 She's wanting somepony to approach her to sponsor something at some point since she became a Wonderbolt! I'll make sure you receive the bits pronto, skip!" Pinkie gave a nod and a very serious salute. When you were conductive super serious party business you had to ensure the proper level of seriousness at all times. She was secretly the most serious mare in town by several million lengths, don't let the parties fool you! Or maybe that was thinking about it too hard and she just liked to have fun. Just like those mysterious fight clubs she knew nothing about. "By fight club law, section I paragraph one, you can't talk about it, duh! You have to be invited, silly!" Catching Tiger's whistle with a wink, Berry did another small sashay. "I wouldn't mind staging that little contest, if you've got the bits to pay the hosting fees. Neutral ground, as its in my bar, and not yours. Just remember, you break it, you buy it!" That sort of thing did constitute a risk for her, a greater risk than she would normally consent to, but at this point, anything that could potentially drive business was worth a shot. Plus, couldn't hurt to have a handsome stallion and a striking mare about the place, eh? Speaking of... Pinkie had a very interesting suggestion. "I thought sponsorships worked the other way, with the businesses offering to put their logos on the uniforms and such in exchange for paying the athlete. I think its called an 'endorsement' when the athlete gives to the business. That said, I'd love to have Rainbow as an endorser! I could come up with something special for her, let's see... going off her cutie mark coloration... strawberry-blueberry-lemonade? Yeah, that could work!" Struck with inspiration, she immediately bent over to retrieve the bottles to whip up a quick sample. Measuring out by cutie-mark guided instinct, she shook up the three juices in a canister and poured out a bit into a small glass. "Mmm..." She popped and smacked her lips. "Yeah, that's a good base. Might want to see about getting some electrolyte powder, I think she'd like it to be a sport drink, as opposed to a straight fruit punch."